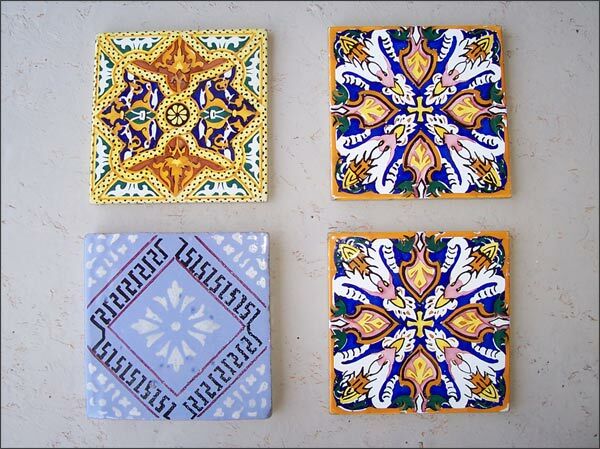 Single Tiles to Display on a Shelf, Plate Stand, or Table as an Accent Emphasizing Color, Pattern or Flavor. European Majolica Tiles and One with Hispanic - Moresque Influence. Clockwise from Upper Left.